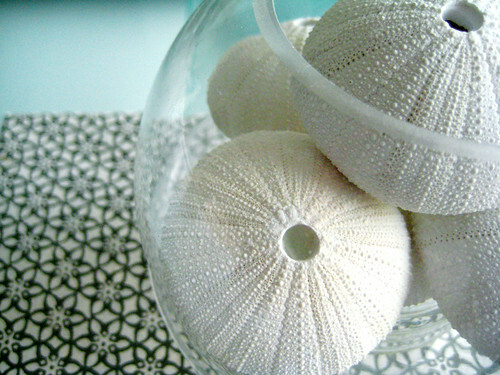 Some lovely resin cast sea urchins. 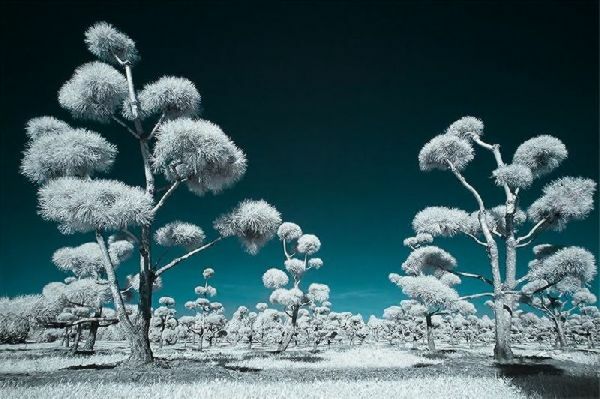 I did some experiments with infrared videography trying to recreate the awesomeness of the still picture below. Using a Canon HV20 camcorder I first tested if any infra red light was picked up by the sensor. Most cameras have an IR blocking filter but I was delighted to discover that the camera could ‘see’ the invisble infrared light coming from a remote control. I then purchased a Hoya R72 filter which blocked all visible light below the 720nm wavelength but allowed near infrared light through and went out filming on a bright sunny day.